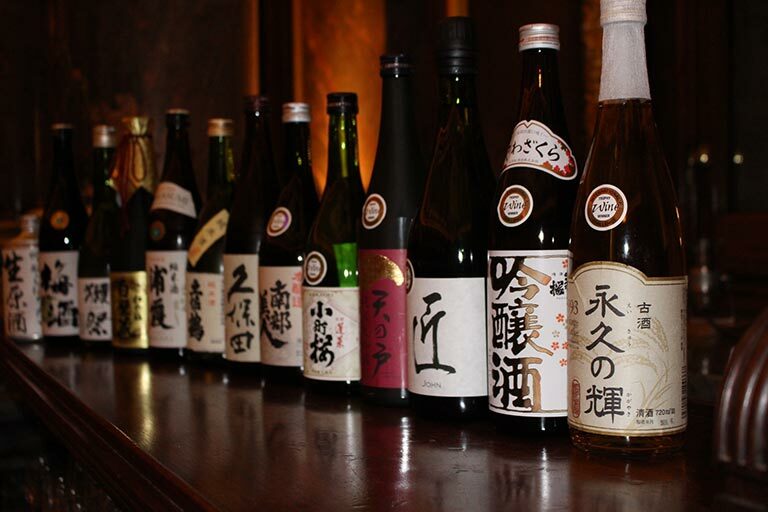 Japanese people traditionally celebrate the new year by sipping sacred sake which has been offered to the gods at local shrines, known as omiki. 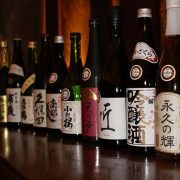 Sake was originally used purely as a libation, but over time came to be enjoyed by ordinary people, in the course of day to day life. 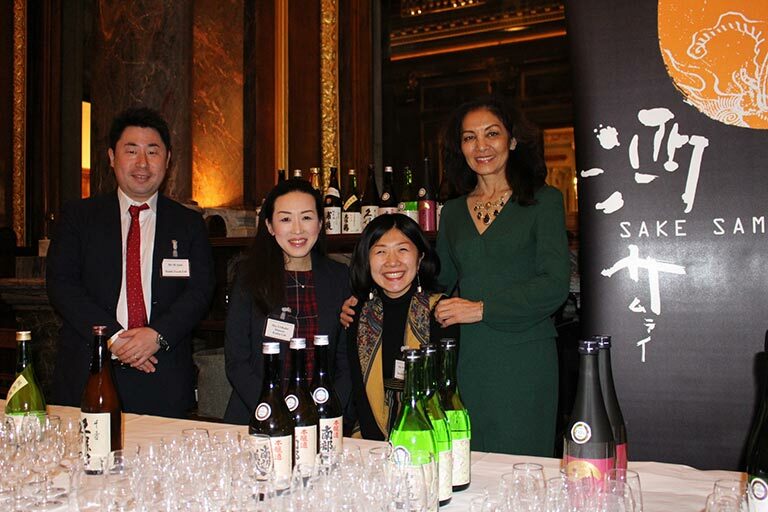 As time goes by and lifestyles change, it is reassuring to see that the Japanese spirit and love for sake never alters. 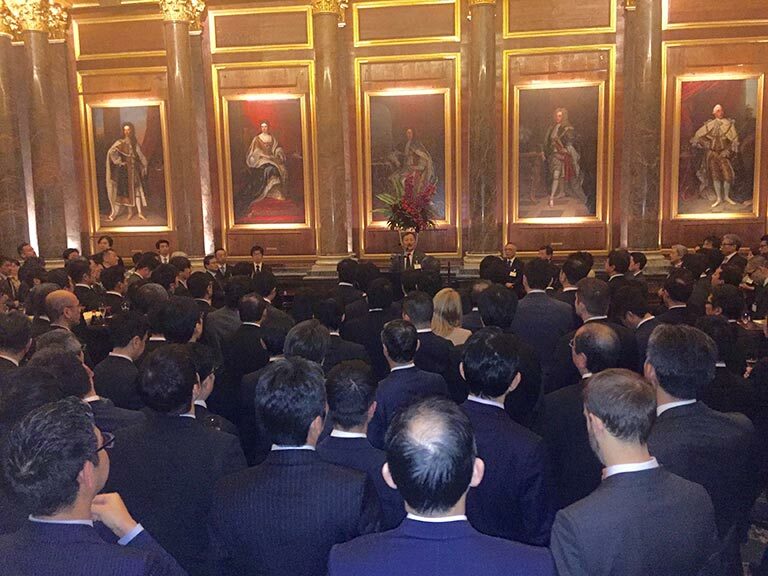 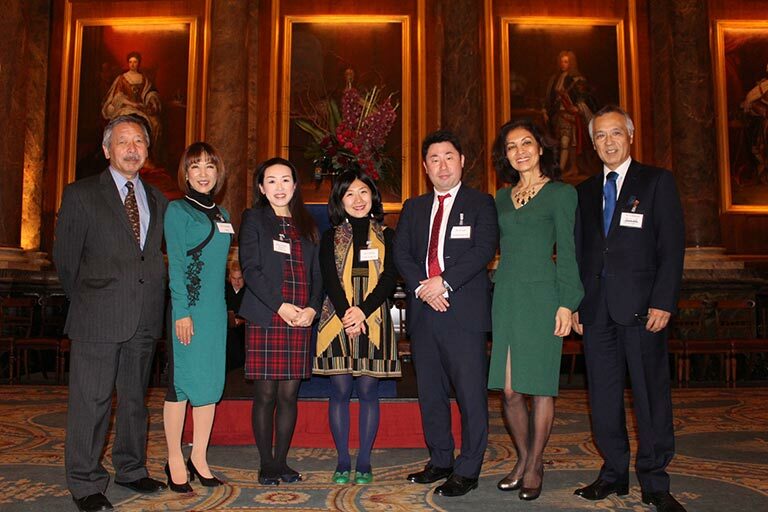 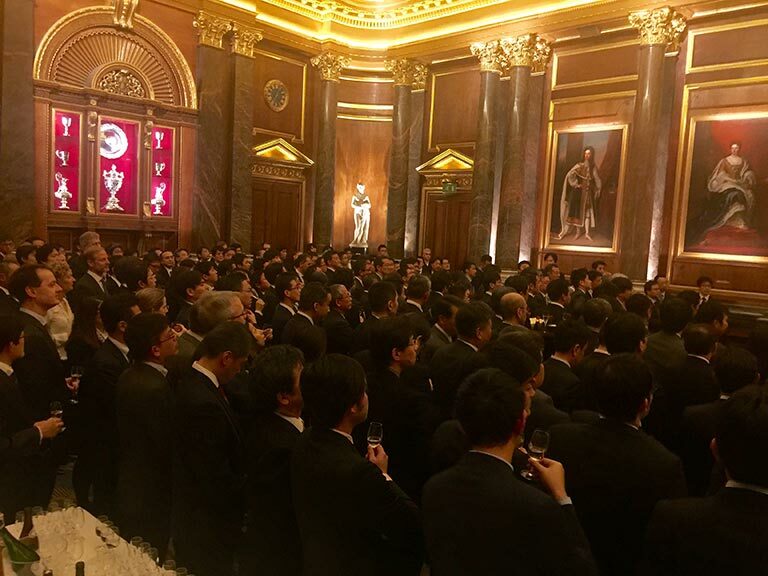 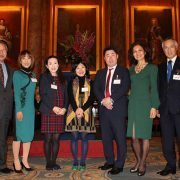 Despite living thousands of miles from their homeland, the largest Japanese corporate delegation in London gathered to observe tradition this new year by toasting each other with glasses of sake and exclamations of ‘Akemashite Omedetou Gozaimasu’! 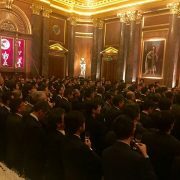 This year, the Japanese Chamber of Commerce and Industry’s (JCCI) new year’s party was held at Draper’s Hall with nearly 400 attendees. 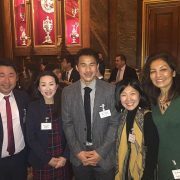 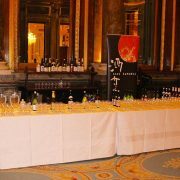 Sake Samurai UK was honoured to help celebrate traditional customs from home by serving a selection of fresh sake to the Japanese expatriates. 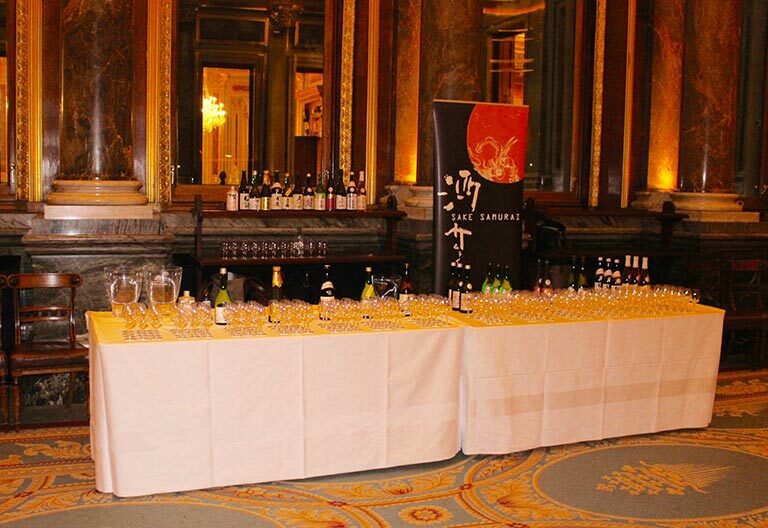 For us, nothing is more rewarding than seeing happy faces lit by the warming glow of sake. 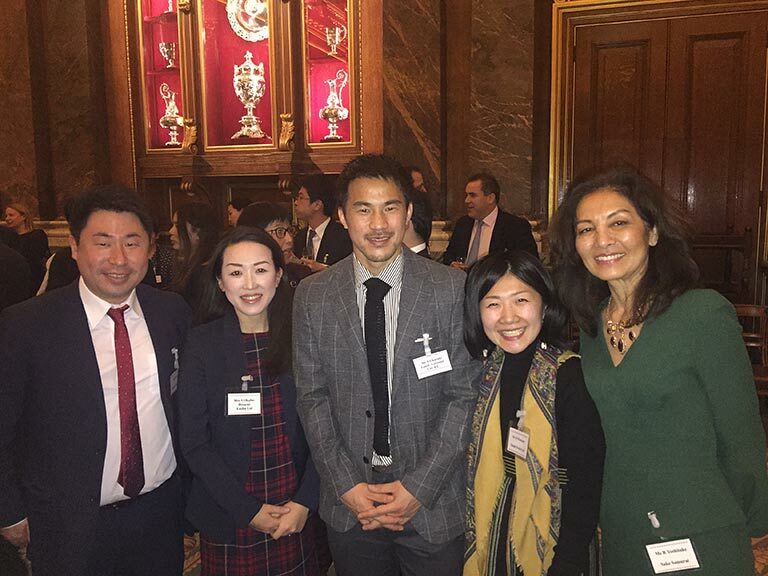 Our thanks to Mr. Hanaoka and Dan san at the JCCI for organising, and to Ando san, Hiroko san and Satomi san for their generous support.